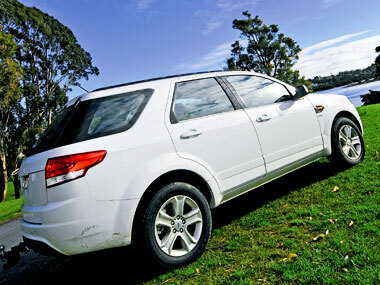 FORD AUSTRALIA HAS been promising a diesel Territory almost since the petrol model lobbed way back in 2004. 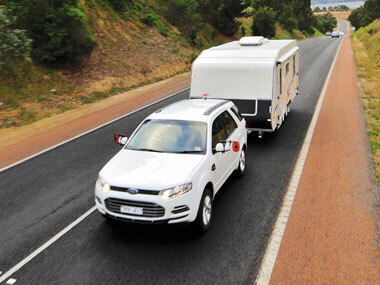 Finally, the diesel is here – so we slung a caravan behind the new model to see if it makes an better tow tug than the petrol models before it. Plenty of fresh sheetmetal and interior bits go into what is essentially a heavily made-over 2004-2010 Territory. The basic structure remains the same, as does the mildly refreshed 4.0L petrol engine. But the 2.7L diesel is all-new for the local Ford. The 700km test through East Gippsland wasn't all plain sailing. At 1680km on the odometer, the Territory was trailered away after it developed a loud tapping noise. Ford’s Product Communications Manager Peter Fedeyev said, "Early indications are that the engine failure was a one-off, which appears to have been brought about by a bearing failure. "There is no indication that this is an issue on any other engines, as this is the first time we have seen this failure." Since that test, I’ve clocked up more than 350km in another diesel Territory, and this one didn’t skip a beat. Ford is not the first company to have an isolated engine failure, but let’s hope, for their sake, that ours is the last Territory to do so. 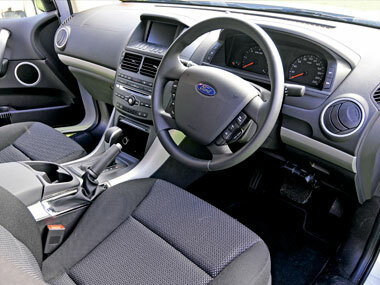 Inside, the new dash and centre console blend in nicely to what has to be one of this century’s better SUV interior layouts, with multiple seating options and heaps of storage space. 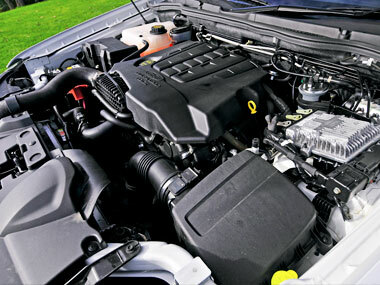 The V6 diesel is one of the smoothest in the business – it is nothing like the clattery diesel you might expect. A harmonic vibration intrudes at around 1600rpm, but that’s it. It is a really smooth diesel. Turbo lag, that annoying soft response turbodiesels often suffer at low rpm, is not the impediment it can be in other diesels. Yes, there is a small pause as the turbo spins up, but then it simply gets on with delivering heaps of torque in a predicatable, smooth manner. The Territory has not lost its superb handling manners. It is still the best handling SUV in its class. We got an average fuel consumption figure of 9.2L/100km without a van behind, and an average of 15.8L/100km while towing an 1800kg caravan. The Territory had excellent performance with a caravan behind, powering up hills easily and comfortably at the speed limit. Engine braking on declines was also excellent. When ordered with the heavy-duty tow package, the Territory comes with a load levelling kit, but unfortunately the torsion bars supplied were not correct for the application. 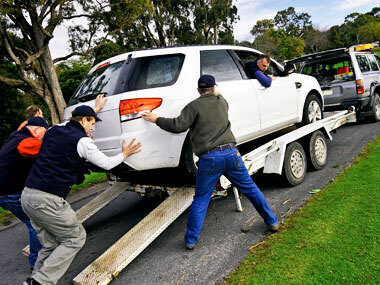 Despite this, we were able to tow confidently with the Territory – aside from fore-aft pitching, it was as solid as a rock on the road. Clearly, with the correct WDH torsion bars fitted up, it’d level out nicely. Ford won’t be the first car company to have an engine fail, and we hope our test car’s problem was a one-off. Provided it was, I have this to say: Plenty of get up and go, great handling, decent fuel economy (at last!) and a nice stable chassis suggest the new Territory will be the answer to many caravanners' prayers. For the full report, see the latest issue of Caravan World.